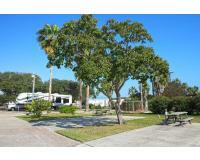 Wilderness Oaks RV Resort offers a great experience for those seeking Texas RV camping opportunities along the Gulf Coast. Outdoor enthusiasts will enjoy fishing, boating, beaches, photography, hiking and biking. There are tons of great attractions nearby. Longitude 28.09489 / 28º 5' 41"
Latitude -97.03511 / -97º 2' 6"
Formerly "Rockport 35 RV Park", there are now new owners and new managers! The sites are nice, large and concrete with beautiful oak trees. Full hookups, pool, WiFi, clubhouse, laundry, etc. All clean. All well-maintained.